Marc Feinberg is a High-Performance Coach for athletes, & entrepreneurs all across the world. He is both MISSION MINDED and PURPOSE DRIVEN. creates an experience that moves people into their true identity, highest possibility, and full power. "Marc is one of the top breakthrough coaches in the world and someone that is sincere about serving others". ~ "Marc is the Real Deal"
necessary to expand personal and professional performance. 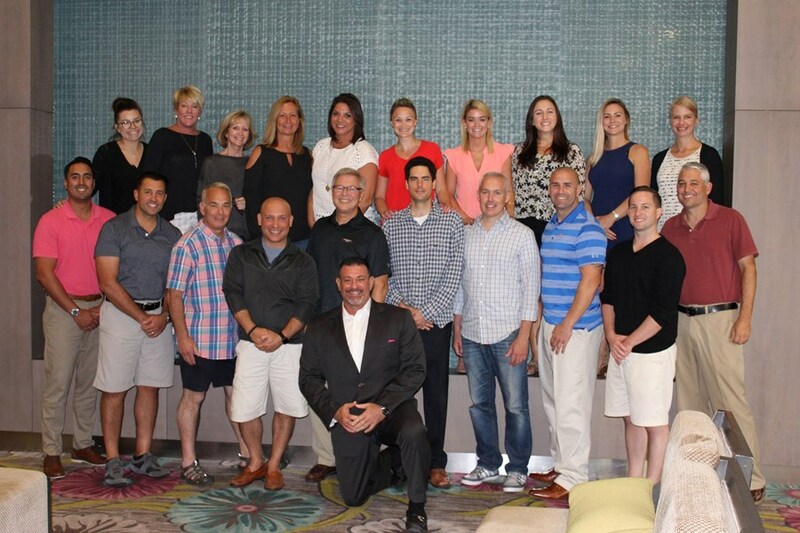 mastermind groups, sales training and keynote speeches. Marc wakes up each and every day with only one thing on his mind- "Who will be transformed today"? There is no greater purpose for Marc then to stand in the gap for his clients to breakthrough their limiting beliefs, make the necessary shift, and create the life that they truly desire. Marc Feinberg's high-energy and motivating keynote teaches your audience how to live presently and deliberately to create extraordinary results. Marc shares lessons that he has learned working with the 5X Heavyweight Champion Evander Holyfield, 2X Heavyweight Champion Shannon Briggs, 1984 Olympic Heavyweight Gold Medalist Henry Tillman, and 11X European Golf Champion Robert Karlsson. 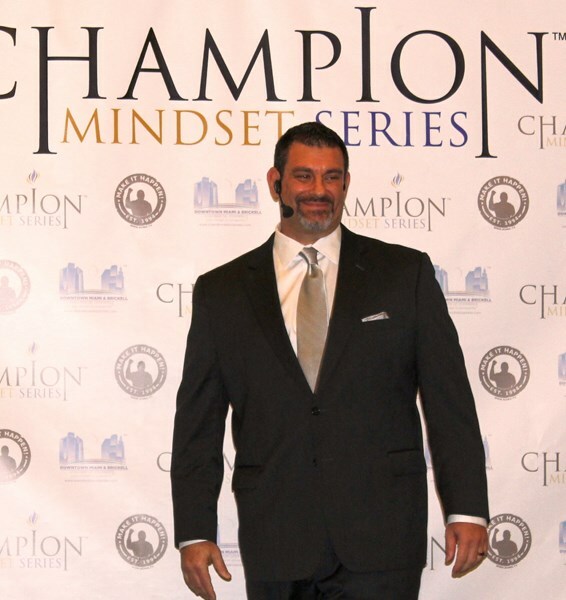 Marc will teach your audience how to apply 3 Key Principles to become a Champion and Leader in your Industry. Marc Feinberg's high-energy and compelling keynote teaches your audience how to convert prospects into real-time clients with the 3 key principles of Commitment, Connection, and Courage. Learn how to "Enroll" prospects in a bigger brighter future for their life by hiring your company as the single best choice. Learn how to rock the enrollment process and convert prospects with ease! Marc Feinberg's high-energy and creative keynote teaches your audience how to master the money conversation, how to have a healthy relationship with money, how to steward and manage every dollar that comes in and how to save it, invest it, share it, and give it away at will. Designing a debt-free company and a debt-free life is as easy as taking "The Secret Money Pill". Please note Marc Feinberg ~ The Wisdom Guy will also travel to Miami Springs, Hialeah, Coral Gables, Opa Locka, Miami Gardens, Miami Beach, Hollywood, Key Biscayne, Miramar, Pembroke Pines, Hallandale, Fort Lauderdale, Princeton, Homestead, Dania, Leisure City, Florida City, North Lauderdale, Pompano Beach, Coral Springs, Coconut Creek, Lighthouse Point, Parkland, Deerfield Beach, Boca Raton, Key Largo, Delray Beach.